Announcement Sale!! Use code: WINTERSALE for 20% off your purchase of $25 or more! Welcome to my shop full of knitwear and accessories! Introducing my new line of fabric items using original Cristin Rae designed fabrics and the ever-emerging Cristin Rae Kids line! All handknit items are made to order and will take approximately 5-7 days for production before shipping unless otherwise noted. Sale!! Use code: WINTERSALE for 20% off your purchase of $25 or more! Geo Gold Foil Heart Print // Distressed Gold Print Triangle Heart // Modern Wall Art Print Gold 8x10"
I’ve worn this for a month now. It’s cozy and puffy. It’s not the kind of wool that settles in and lengthens. This has remained puffy. Hard to tuck into my zip up coat, but good wearing loose over a sweater. I’ve gotten compliments on it. It’s the sort of thing that inspires others to knit. So perfect! Exactly as described. With a graphic design and commercial art background I am and always will be a lover of good clean design. Simple, elegant and pleasing to the eye. I started my Etsy back in 2008 when all I needed was an outlet to sell some of the handmade and hand knit goodies while working a full time design job. In 2010, I decided, with the support of my husband, that this was going to be my full time gig and I haven't looked back or regretted a single moment. Everything in the shop is created from start to finish by me and shipped directly to you. From the cowl that is hand knit to the fabric that is designed on my computer and sewn up in my home on my sewing machine. Each piece was made to adorn you and your loved ones. I hope you love and adore your Cristin Rae product as it was made with love and great care in St. Louis, Mo. for you. Designer, knitter, wife and new mom. Love wins and it always will. Thanks for choosing crisinrae. I hope you enjoy your handmade item as it was made with love! Please note: all knit items are made to order and will take approximately 5-7 days for production before shipping. ::I want you to love, adore and enjoy your product, but in the unlikely event that it’s not quite what you were after please see our policy for returns and exchanges. ::To request a return or exchange, email cristin at cristinrae [!at] gmail.com or convo me before sending an item back and let me know the reason for the return. ::I will accept returns of unwashed/unworn items, in its original packaging. We are unable to accept returns on any item that has been worn, if it has trace of perfume or deodorant or if THE TAGS BEEN REMOVED! ::Items must be returned promptly and received by Cristin within 10 days of the receipt. ::Shipping charges are not refundable. And 10% restocking fee will be deducted. Shipping cost of return or exchange is the responsibility of the customer. ::We will only refund items once the returned item has been received. I accept Visa, MasterCard, American Express, Discover, or regular account payments all through PayPal. Payment is expected at the time of order. I will not ship any items until payment has been received. ::We will ship to the Etsy address. Please be sure your etsy information is correct. I am not responsible for items not received if the address is not correct. 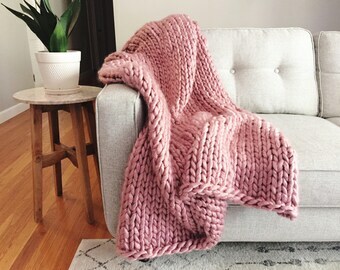 ::All knit items are made to order and will take approximately 5-7 days for production before shipping. ::Items ship via either USPS First Class or Priority Mail depending on item. Due to a rate increase for 2013, prices have been adjusted accordingly. ::If you need fast delivery, please feel free to convo me and I will do my best to work something out. ::IMPORTANT: Please note, any import duties, sales taxes or other import costs, incurred at the point of entry into the destination country are the responsibility of the customer. Colors might differ because of the screen differences.